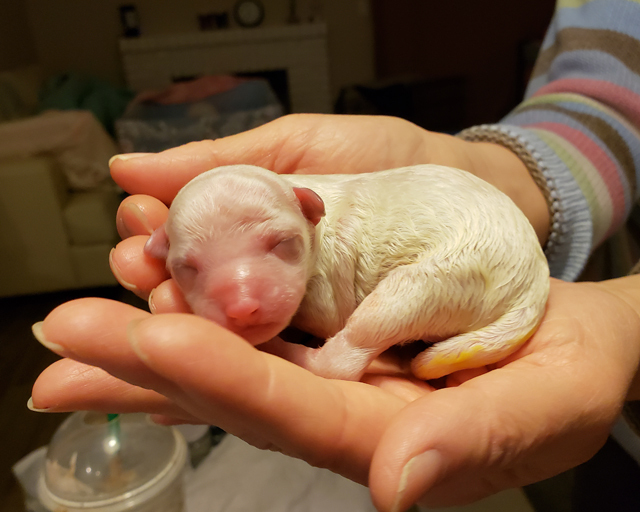 Congratulations to Tessa and sire Romeo on Tessa’s first litter. She delivered 3 boys and 2 girls in just over two hours with no complications. Mommy and babies are doing great. Tessa is the daughter of our Dee Dee and is owned by Lily Lee of Lotus Bichons, who Linda and Deb have been mentoring for several years. 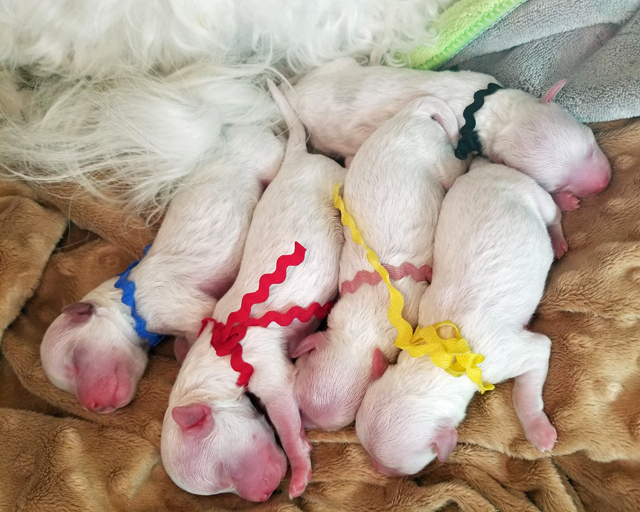 Lily will be raising these puppies using the protocols and best practices followed by Deb and Linda at Hollyhock Bichons. 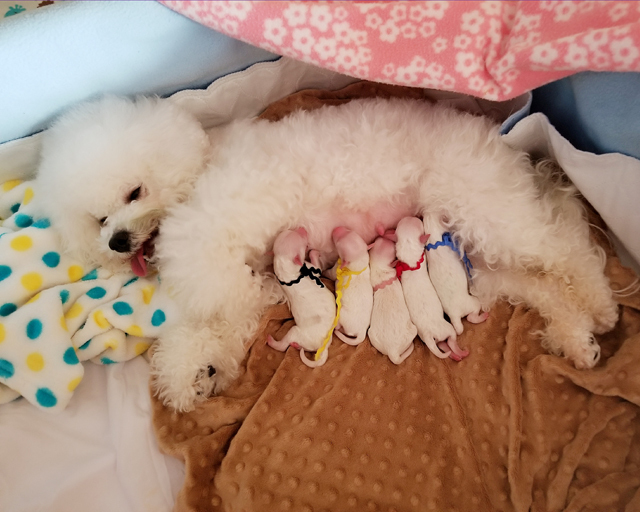 We expect Tessa will follow in her mother’s footsteps and become a wonderful bichon mommy.